Often the only thing that stands between a stranger and a new best friend is the lack of a proper introduction. In this case, it was a dog named Gorgi who arranged the meeting that changed his life and the lives of all who know him. 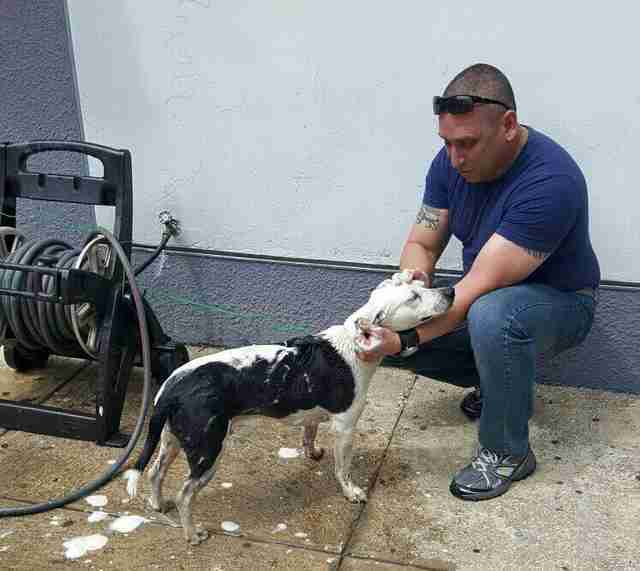 "He was in poor condition, malnourished and with apparent signs of abuse," Sgt. Tony Montesinos tells The Dodo. 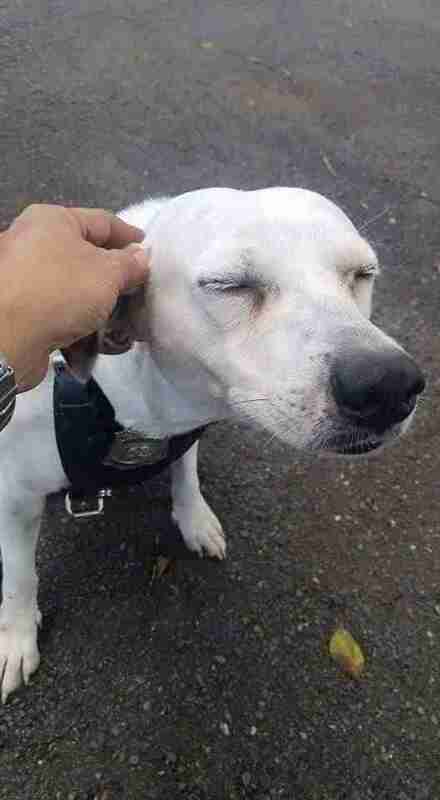 "He approached frightened and was looking for affection and protection. 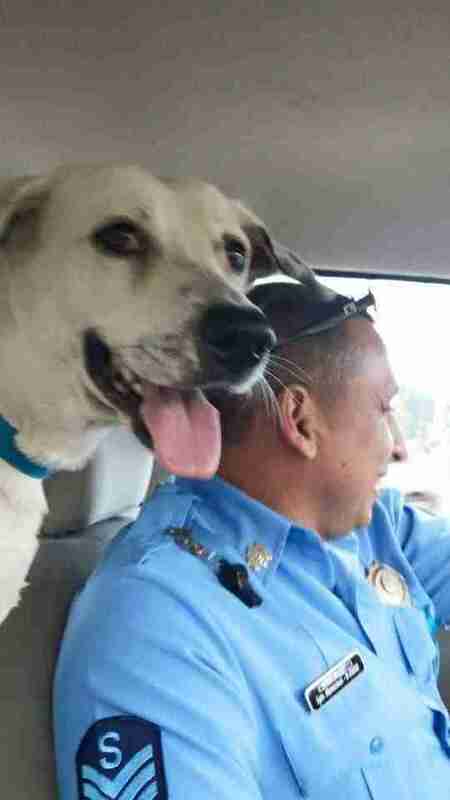 We gave him food and water that evening and after eating he stayed with us awhile and left." 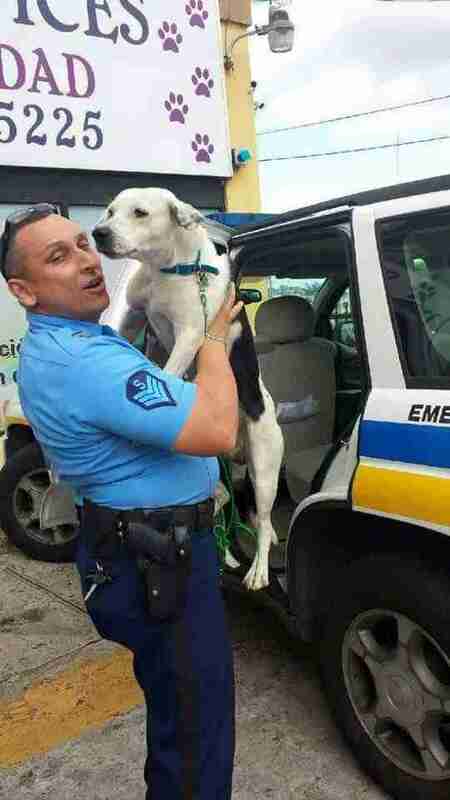 Seeing how insistent the dog was to be around them, and enjoying every moment of his loving company too, the officers decided to rescue Gorgi off the streets. They even pooled their money together to get him in for a checkup at the vet. With that, the former stray was unloved no longer. 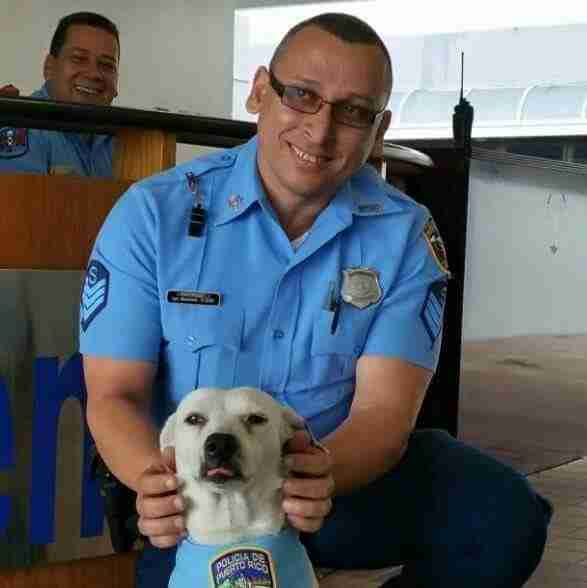 Given that Gorgi had come to think of the place as home, and the cops his friends, it only made sense that the dog get a job on the force - working as the station's surveillance dog. 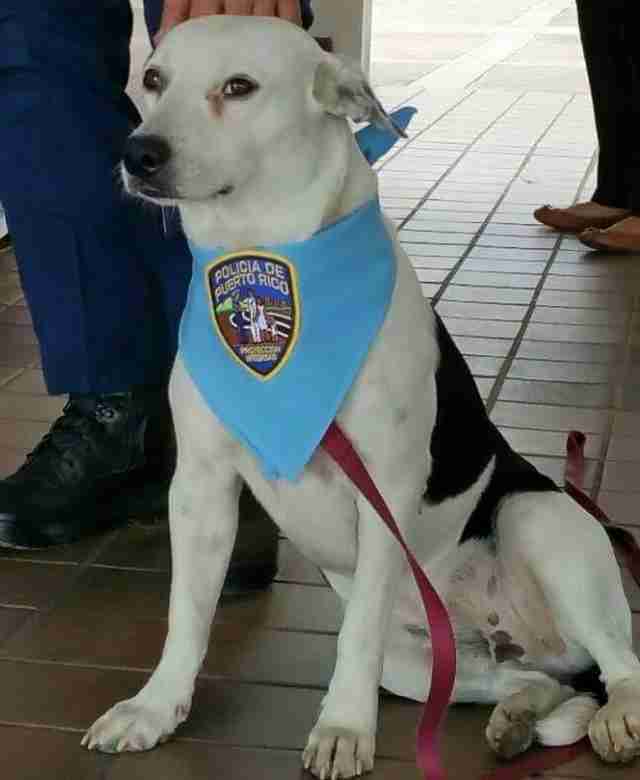 Here's Officer Gorgi striking a serious pose, complete with a badge and little vest. The dog's position, however, often seems to be an honorary one. 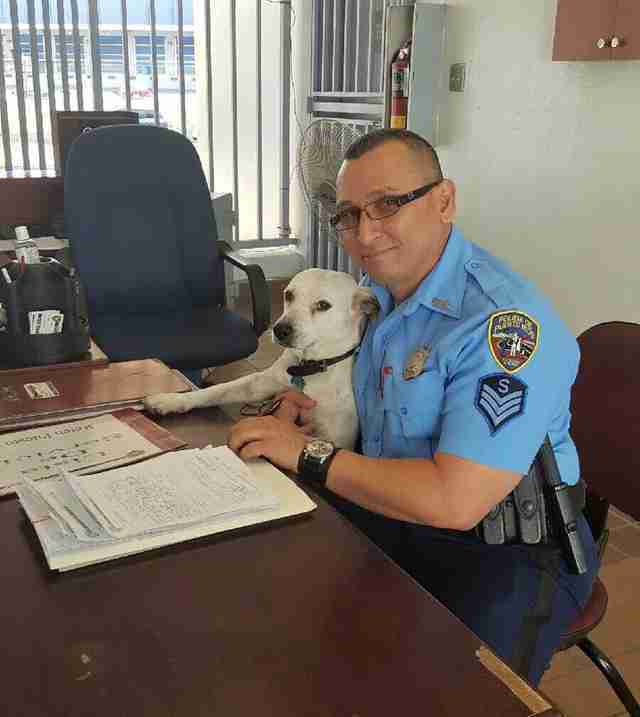 More than anything, perhaps, Gorgi's role is that of trusted companion and comforting friend to the officers who spend their days in the line of duty. "He reduces tensions," says Montesinos. It's clear that Gorgi really enjoys his new job - but maybe most of all, especially considering his lonely past, what he likes is finally being part of a family who is there for him no matter what. "Everyone loves him," Montesinos says. "He will have everything he needs for as long as he lives."